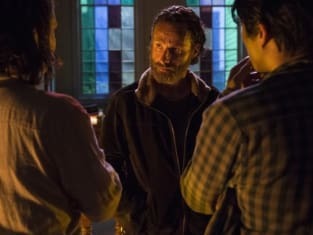 Given how amazingly well written The Walking Dead Season 5 has been so far, we here at TV Fanatic knew we couldn't go another week without a chance to chat after watching Rick Grimes and Co. battle the undead. 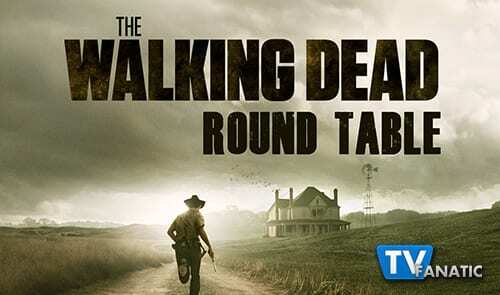 We present to you The Walking Dead Round Table, featuring TVF staff writers Sean McKenna, Carissa Pavlica, Whitney Evans, and Miranda Wicker (who sometimes watches through her fingers). Joining them is the one and only Eric Nordhoff, co-founder of The Walker Stalker Con and co-host of the twice-weekly Walker Stalker Podcast! And YOU. That's right. YOU, Walking Dead Fanatics! Read the questions, read the answers, and then sound off below! We want to hear what you think about our favorite undead show. 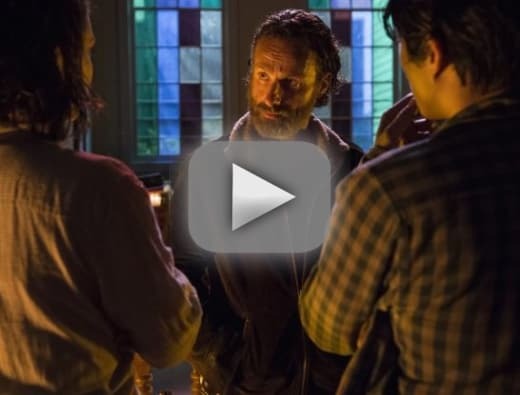 What was your favorite quote or scene from The Walking Dead Season 5 Episode 3? Eric: Loved it. These first three episodes are THE BEST first three episodes of any season. I like where showrunner Scott Gimple is taking the series. My favorite scene was when Bob said goodbye to Sasha. A touching moment between the two lovers who never really got a chance to make their love last. Sean: I'd have to go with the "tainted meat" line. It's just memorable, especially because Bob got in a good laugh and wiped that smirk of Gareth's face. While it didn't really affect their eventual demise, it was still a good way to kick off the hour. Poor Bob though. Carissa: Discovering what Gabriel had done to get the "you'll burn in hell" scrawl on the wall. Rick always imagines something ghastly, but one of he worst things to do in time like those, and probably the easiest when you're alone, is nothing at all. Miranda: I'm inclined to say Daryl coming out of the woods because any scene with Daryl in it is going to be amazing. But! I'll go with Michonne finding a new blade after they massacred the remaining Termites. She just doesn't feel like Michonne without a sword. Whitney: I loved the showdown between Abraham and Rick. I like Rick the most when he is being the alpha male and the leader he was meant to be. When he started walking towards Abraham to stop him from taking the bus I got chills. This is my favorite Rick! Pen a eulogy for Bob. Eric: Here lies Bob Stookey. He used to be a slave to the bottle. Now, he’s finally free of his demons. He loved well. He lived well. He took care of the group and we will miss him very much. Sean: Bob, you were so positive (and apparently tasty). When another alum from The Wire showed up, it looked like it was your time to go. But we'll always remember you, from your love of alcohol, Sasha and the prospect that there is still good out there. RIP, buddy. Carissa: Bob, hoof and mouth disease has nothing on you brother. You weren't a chicken and didn't taste like one either. You're free to run again. Miranda: Bob, sorry you had to die, but hey, you got the last laugh, right? (No, literally. You did.) Say hello to Hershel. You two have more in common now than ever before. Whitney: Bob, I knew your death was inevitable after all the screen time you had last week, but you will be missed. Well, probably just missed by Sasha and you'll most likely never be brought up again, but still, you were a nice dude. Rest easy Bob! Scale of 1 to 10, with 1 being "meh" and 10 being "insane," rate the church massacre. Eric: 9 - Pretty much insane. Rick and the gang took it too far, otherwise it would have been a 10. Sean: I'll give it a 9. We've seen a lot of bloody and violent stuff, but this one was pretty intense. It wasn't Rick and crew just killing walkers. This was an all out assault on people, but bad ones that needed to go. If there's one thing we learned, you don't mess with Rick and his family. Carissa: 6. It was insane to see them killing real people like they're walkers, but the 10 scene was the continuation of a plate of Bob while he watched and smelled himself cooking. I could barely contain myself. Miranda: I'm giving this one an 8.75. It wasn't AS insane as Rick taking out the Claimers, but there's something really eerie whenever Rick taps into that side of himself and slaughters people. It has to happen in that world, but it will never not shock me. Which is how I know I'd never survive. Whitney: 10! 11! 12! All of the above! It wasn't even normal how nervous I was during that whole scene. I should have know Rick was smarter than Gareth, but things were not looking good, especially after Judith started crying. But then the crew came in and they just butchered them. Did they really have a choice, though? After the Governor debacle, the termites had to go. Are you glad that the cannibals of Terminus story arc is behind us? Eric: It was just right. I didn’t want this storyline to drag on too much. They were pretty weak with only 5 of them left anyway…so not much more they could have done. Sean: Yes and no. If anything I was more surprised it ended so quickly, especially because I thought the actor who played Gareth had been bumped to series regular. And yet at the same time, having the cannibals follow them around all season would have gotten annoying. Instead we got something, straightforward and to the point that provided some intense scenes, moments and a baddie worth remembering. Carissa: Yes. Cannibalism can only be taken in small doses, and when you add in live eating of the choice meal? Just ugh. Miranda: I have a total love-hate with Gareth. The Terminus story had to end, for sure, but Andrew J. West was so, so, SO good at playing slightly normal mostly creepy killer guy that I'm kind of going to miss him. Whitney: While I'm surprised they wrapped it up so quickly, I'm glad they didn't drag it out. The Walking Dead loves to drag things out so I'm kind of glad that's over and done with and we are on to the next big bad, whoever that may be. Should Glenn and Maggie have gone with Abraham or stayed with their original group? Eric: I hated seeing them split up again. The writing on the scene where Abraham threatens to leave was not excellent. It was not as believable as I wasn’t empathetic to that being necessary to get Abraham or Rick to calm down and compromise. But if anyone was to go with them it made the most sense for Tara and Glenn/Maggie to go. Sean: Why did they have to all split up when they just got back together? It felt sort of weird to see Glenn and Maggie leave their main crew. I just hope that separating everyone again will prove for interesting stories on both journeys. Though, I am really interested in seeing where the D.C. story goes. Carissa: I agree with Eric. I didn't buy the scene so it made splitting up worse. Rick was all set to go so I didn't quite feel the change of heart. There are no logical reasons for the split, especially since we know they're always better together. At least Maggie and Glenn are better together, too. Miranda: I think being split up already and trying to find their way back to each other has done something to Glenn and Maggie. They seemed not to accept the massacre they were witnessing in front of them and are taking their chances to help Abraham get to D.C. to distance themselves from the brutality they're witnessing. They know it's a part of life now and will occasionally happen, but I think they just needed a break. It's only too bad Beth will be back soon while Maggie is gone. But isn't that how stories like this one work? Whitney: I prefer when the group is all together, but I understand why they left. And this just ensures that Rick and company will eventually make their way north as well. 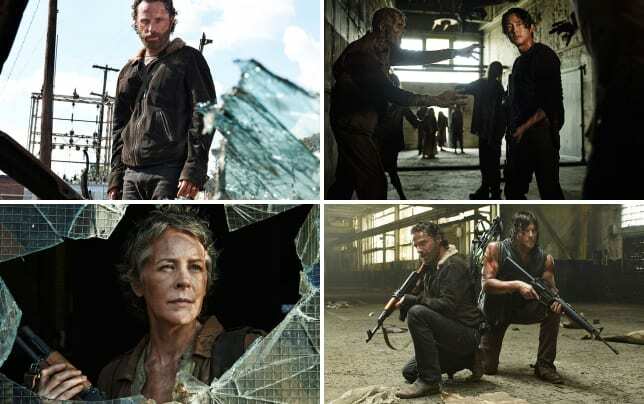 The Walking Dead airs Sunday nights at 9 p.m. on AMC, but you can watch The Walking Dead online right here at TV Fanatic. Here's a sneak peek at The Walking Dead Season 5 Episode 4, "Slabtown."